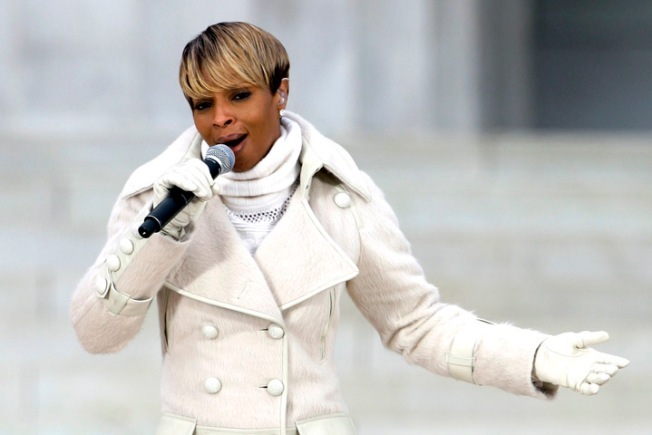 Mary J. Blige To Guest-Judge "Idol"
"American Idol" fans can hope for "No More Drama" when Mary J. Blige sits down next to Simon Cowell. The R&B star will be a guest judge for the reality show's Atlanta auditions on Sunday and Monday, the LA Times reported. VIEW THE PHOTOS: 'Straight Up' Photos Of Paula Abdul! She'll join several other celebs lined up to take the spot of former judge Paula Abdul, including Victoria Beckham – who has filled in in Boston and Denver — and Katy Perry, whose judging dates have yet to be announced. Paula announced on August 4 via Twitter that she would be leaving the show after eight seasons as a judge, and she's had no shortage of suitors since. Nigel Lythgoe, her former executive producer at "Idol," recently said he would love to have her on "So You Think You Can Dance" as a guest. Additionally, an ABC executive said last week that he would like to see her on "Dancing With the Stars." PLAY IT NOW: Can America Handle Mary Murphy & Paula Abdul Together?